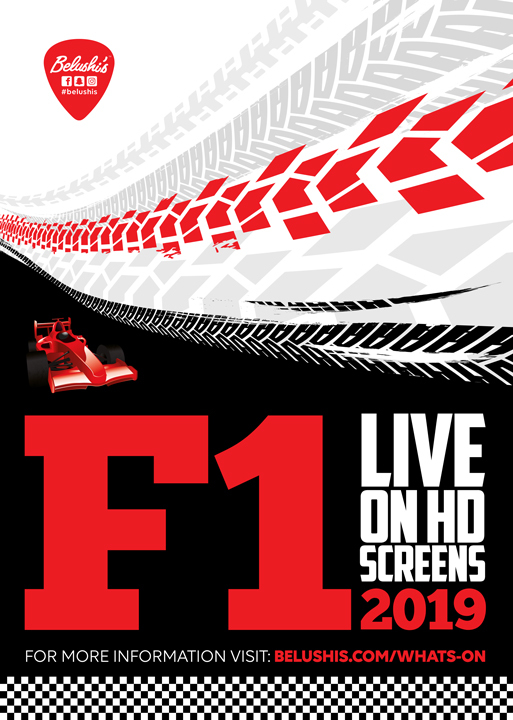 F1 fans, don’t miss the biggest races of 2019 and join us at Belushi’s Bar to watch the F1 season live in Bath! We’re right in the city centre with giant HD screens and projectors so you’ll feel like you’re watching it all right from the racetrack. We’ll be serving up our big, juicy burgers and bar snacks while you watch, plus make the most of our huge selection of international beers and spirits to wash it all down. Get in touch to find out more about which races we’re gonna show. Don’t miss it!